There are few shops in the Comox Valley that I enjoy exploring as much as the I-Hos Gallery. 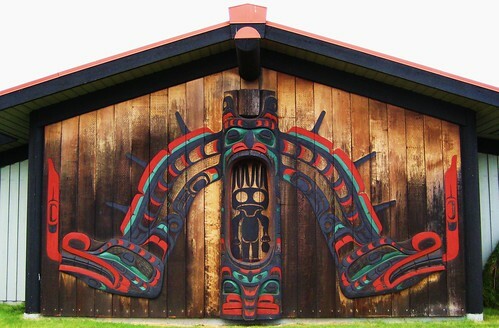 Located on the First Nations reserve in Comox, I-Hos features handmade treasures from skilled artists and craftspeople across Vancouver Island. It’s also the place where I purchased my most treasured silver orca ring several years ago. The Island’s First Nations’ population is vast and its history is deep. So often a band’s heritage can be fleeting, and the I-Hos Gallery is proud to help preserve the land, the stories and the people that founded the Comox Valley area. This June I-Hos is proudly hosting a series of workshops and events that may be of great interest to locals. June 5, 2011 – 1:00 p.m. until 3:00 p.m.
Barb Whyte of the K’ómoks First Nation will guide participants through flora and fauna, explaining how and why various herbs have been an important part of First Nations culture. Herbs will also be available for purchase. June 21, 2011 – 1:00 p.m. until 8:00 p.m.
Those who have always been fascinated with intricately woven cedar baskets will have the opportunity to create their own in this full-day workshop led by Kathy Edgar of Ditidaht First Nation. Please provide your own lunch and snacks; food will be available for purchase. June 21, 2011 – 3:00 p.m. until 8:00 p.m. This free, family-oriented event celebrates each aspect of First Nations and Aboriginal culture. Stories, songs and dance are highlighted, along with traditional and delicious food to nibble on. For more information on the I-Hos Gallery, visit them online or “like” their page on Facebook.